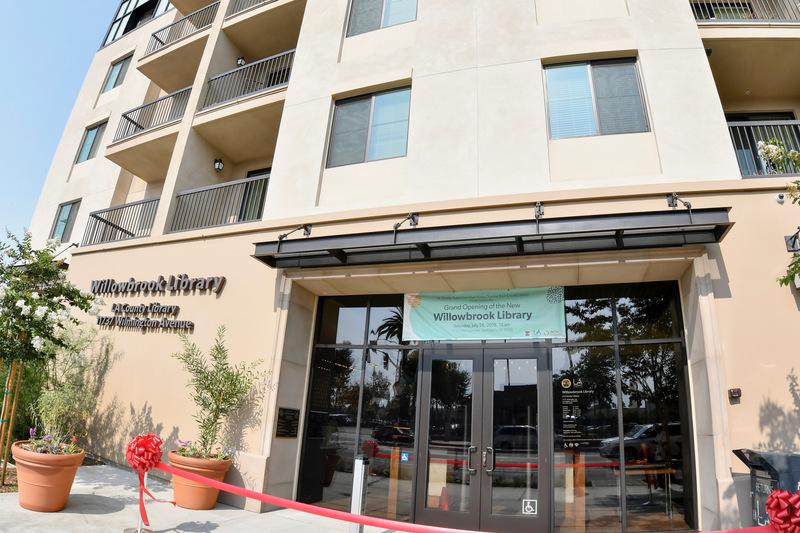 Willowbrook Library has opened its doors after a $8.3 million construction project, thanks to an investment by the Second Supervisorial District of Los Angeles County. Withee Malcolm served as the architects and Thomas Safran and Associates developed the project, which was co-managed by the Library and the Community Development Commission. The construction of the new library began in early 2017. The new 8,000 square foot Willowbrook Library replaced an outdated 30-year old 2,200 square foot library which includes, reading areas for adults, teens, and children; early childhood and family areas, a shared community room, programming space, group study rooms, a workforce center, public restrooms, support areas, staff areas, express-service checkout machines at the lobby, laptop kiosk machines, information pod, public access computers, Wi-Fi, and parking. It also features the county’s first collection of modern art with five original art installations, commissioned especially for the Library by the Los Angeles County Arts Commission and Civic Art. The sustainable features in the Library include; energy efficient cooling and heating systems; energy efficient LED lighting; energy saving lighting control systems with use of sensors and timers, an automatic window shade system to optimize natural lighting; low flow plumbing fixtures and, the use of low paint and flooring adhesives. 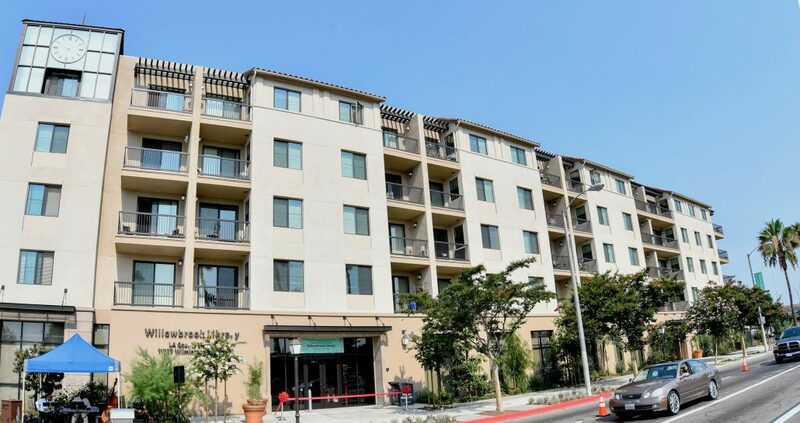 Willowbrook Library is the first in Los Angeles County to be in a mixed-use building with housing over 100 affordable senior housing units above. The free event will feature several family-friendly activities, including performers in the shared community meeting room and stations throughout the adult, teen and children’s areas of the library. On July 28, the library will be open until 5 pm, for library card sign-ups, general library use, and special programming for the whole family, including a sampler of the Library’s MākMō maker mobile activities, art and craft activities.